Must See! 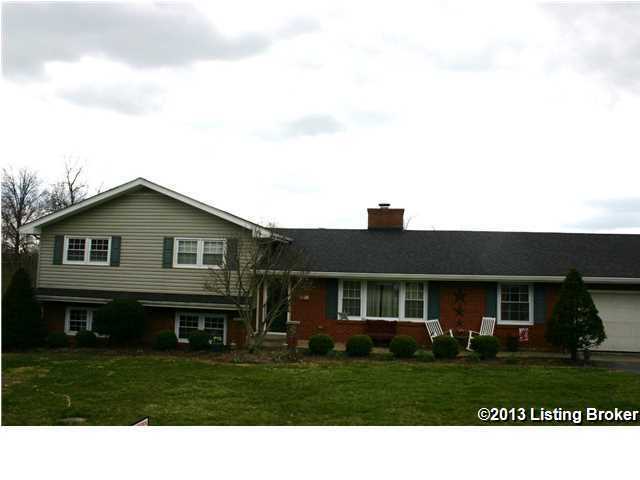 Elegant brick 3BR/3BA home situated on 1.25 acres in the City of Eminence. Property features; private master suite, modern kitchen, and plenty of space with 2849 square feet. This home is an entertainers dream with a large patio and in-ground pool. All this and more, call today for your private showing. Direction: Hwy 55 to Mulberry, left on Carroll St, to Oldham St.
111 Oldham St, Eminence KY 40019 is a Home, with 3 bedrooms which is recently sold, it has 2,849 sqft, 0 sized lot, and 2 Car Garage,Attached parking. A comparable Other, has bedrooms and 0 baths, it was built in and is located at and for sale by its owner at $ 0. This home is located in the city of , in zip code , this County Other, it is in the Subdivision, and QUAIL RUN are nearby neighborhoods.